Unprinted plain non woven bags are no doubt the cheapest design. Printing normally takes up 10 to 30 percent of the total cost. 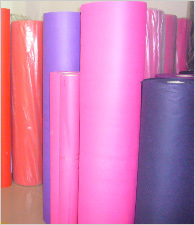 Moreover, unprinted non woven fabric is much easier to be sorted and recycled. Get these cheapest and most eco-friendly non woven fabric bags!